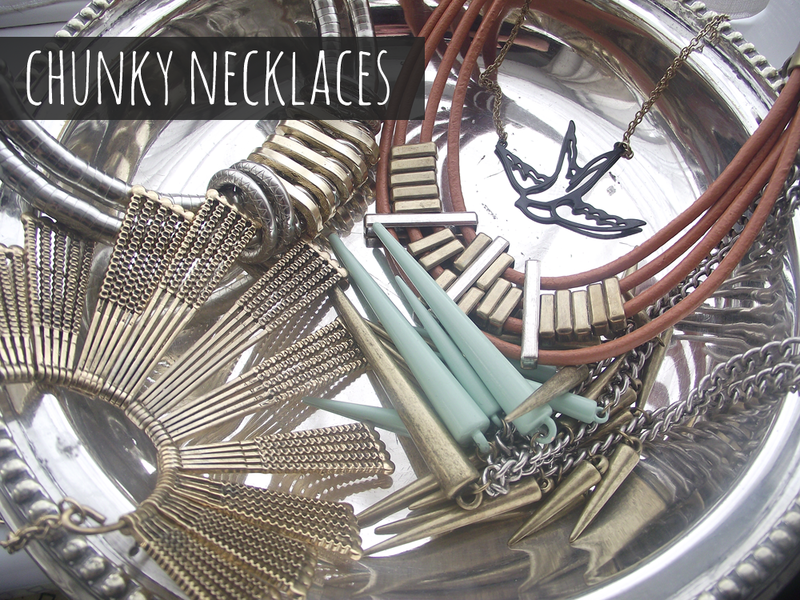 I've been buying a few new pieces lately all of which are chunky statement necklaces. Whilst I'm happy with my storage I do need to think about how I'm going to store my bigger pieces, so please leave any suggestions below? 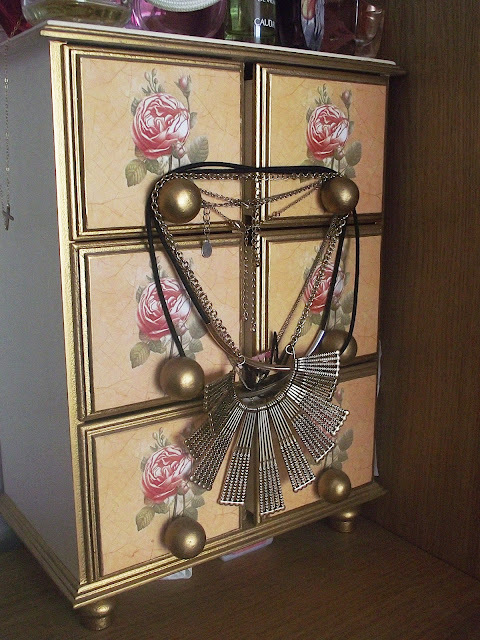 I did consider buying a jewellery stand but think the weight of the necklaces will just topple it over. 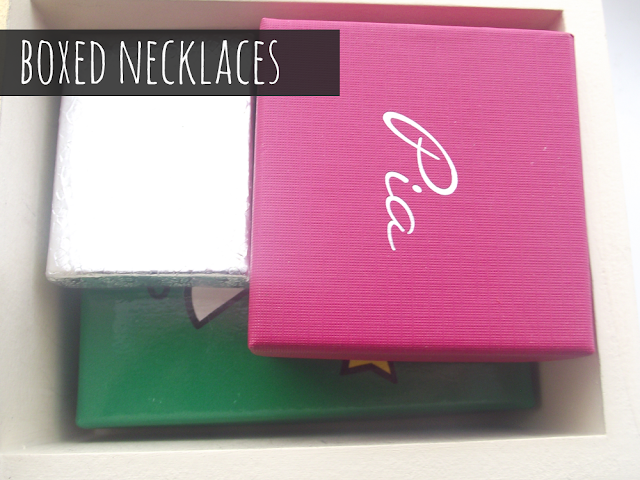 How do you store your chunky necklaces? I store the majority of my jewellery in this shabby chic 6 drawer unit, which my mum bought me from TKMaxx a few years ago. 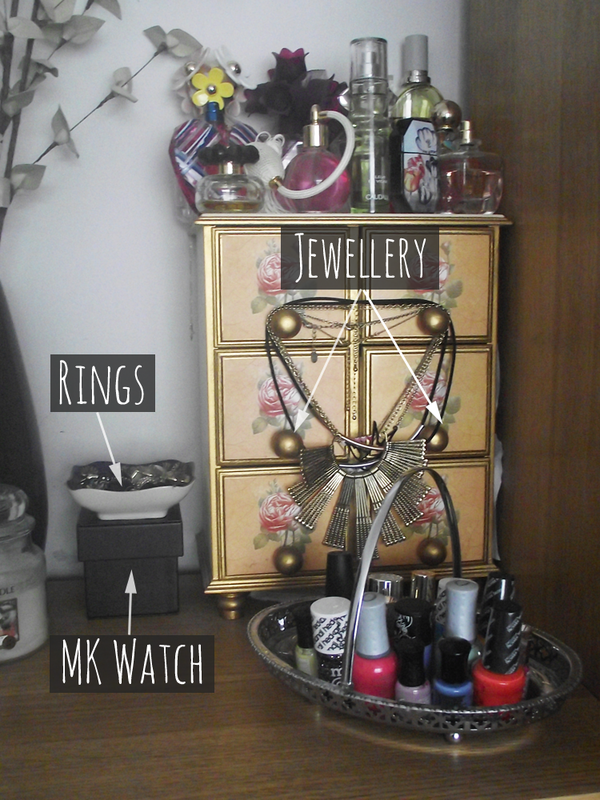 The unit sits neatly on my chest of drawers, I house my rings in a little vintage tray which my grandad gave me. This tray sits on top of my Michael Kors watch box, both of these are stored just to the left of my unit as you can see in the 1st photo. 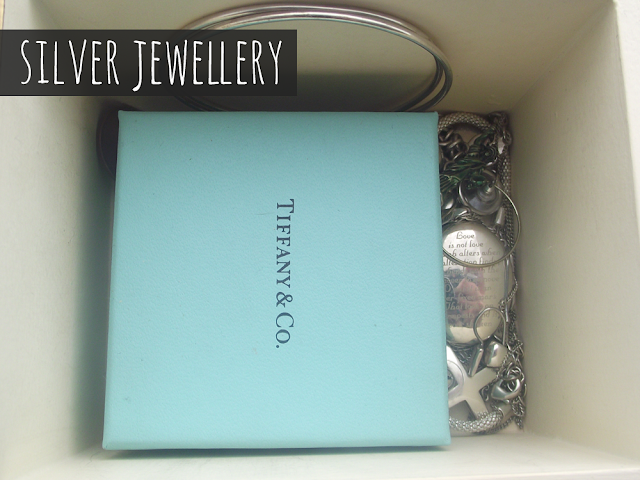 The unit has six deep drawers which house all my smaller pieces of jewellery, I've taken photos inside each drawer so you get to see a sneak peek of my jewellery collection. However if you would like further info and photos please let me know. Inside these boxes are some more necklaces which I like to keep in boxes, they're all gifts from either my husband, children or my mum. 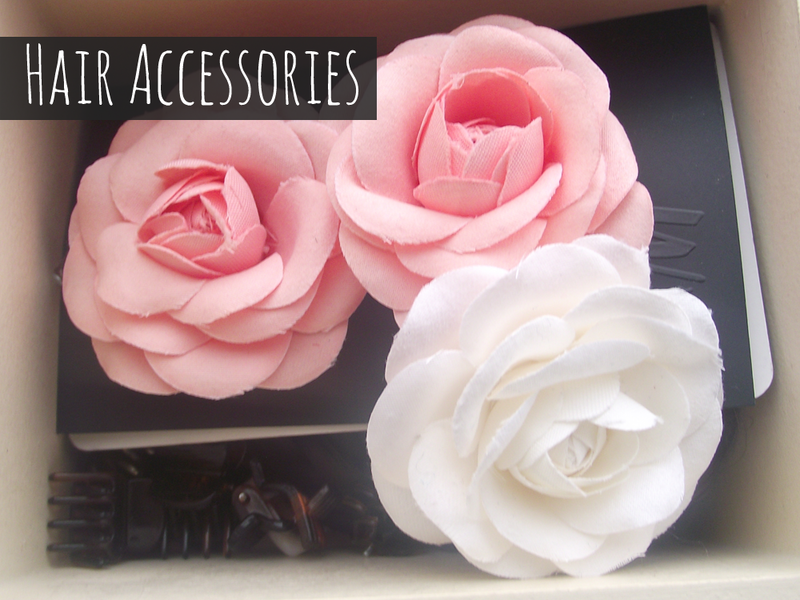 I needed a drawer for my hair clips, grips and headbands so they all fit in here perfectly! 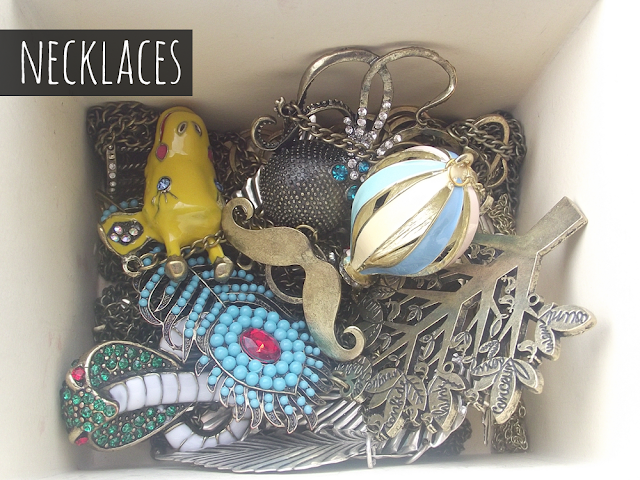 This drawer is my favourite, it has all my quirky necklaces which I've bought on eBay, I love them all! 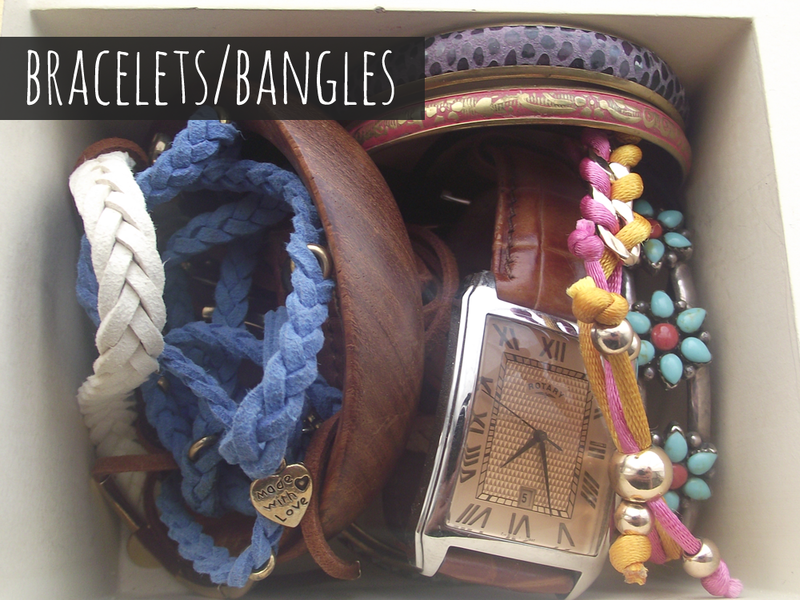 I store all my bracelets and bangles in here and also my grandfathers watch which he kindly gave to me. he's such a sweetie, I remember seeing him wearing it and saying how much I love the clock face and he took it off there and then and passed it to me. I love chunky watches and the face of the watch is beautiful. 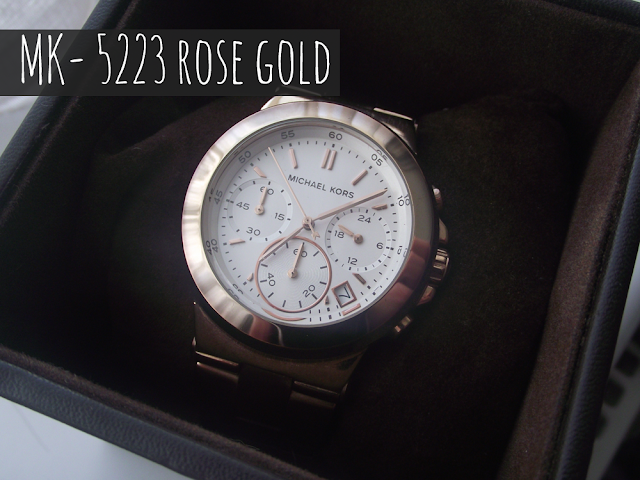 It's a mix between a rose gold/amber shade. The silver jewellery I have in here are all sentimental pieces, my grandparents bought me the beautiful Tiffany necklace for my 21st. My mum bought me a plain silver cross when my son was born and there are other pieces which have meaning. 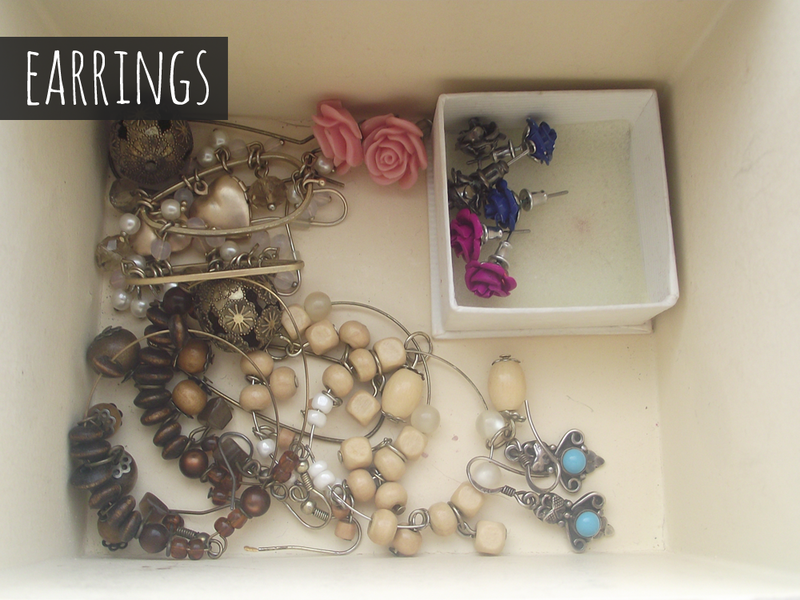 I don't own a lot of earrings, but the ones I do own I probably only use a handful of them. I think it's nice to have a few to pick from to go without outfits etc. As I mentioned above, I don't know where to store these pieces. I have been storing some necklaces over the knobs on the drawers of the unit but this is so unpractical, when you want to open the drawers! Arrghh!!! So I have been keeping them in this vintage dish which I bought from a charity shop. Whilst they look nice in here this is not what I had in mind for this dish! I hope you enjoyed this post, did you notice my fancy Photoshop skills? I'm learning...slowly but surely! Love this post! 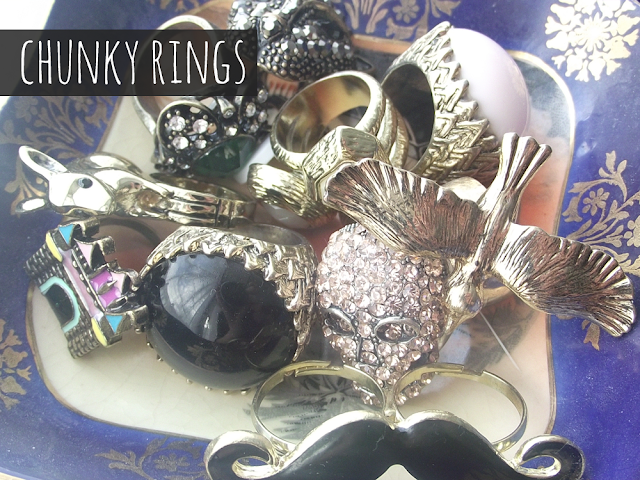 So great seeing others jewellery collections! I've seen some really lovely way of storing chunky jewellery. For example on fancy hooks or in a frame with hooks screwed into it. This way you can display your items like art but its functional too. This is what I think ill do when I get around to it! !